Markus Mobile Tax Accounting Services offering its clients a mobile tax accounting personalized to our client’s specific needs. We are happy to visit you at a place and time convenient to you and provides you with an alternative to traditional brick and mortar accounting firms where you need to schedule an appointment and travel to the accountant’s office. This gives you more time to run your business and more time to spend with your family and friends. We provide professional accounting service at very affordable rates at a place and time convenient for you. 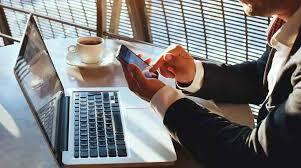 Markus Mobile Tax Accounting Services provides tax return services for individuals, sole traders, partnerships, companies, and trusts. 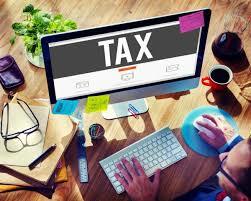 By using our services clients minimize their income tax liability as we take care of your tax compliance. We cover Point Cook, Werribee, Hoppers Crossing, Altona, Tarneit, Williamstown and all other northern and western suburbs of Melbourne. Markus Mobile Tax Accounting Services can help you unlocking your businesses full financial potential by using a cloud accounting package. We will help you choosing the most suitable cloud accountant package for you and will also set it up for you and provide ongoing support. This will enable you to focus more on running your business as you will spend less time on manual bookkeeping tasks. When it comes to selecting the most appropriate structure for your business we always recommend you ‘start with the end in mind’. Australian tax laws are complex and changing your business structure at some point in the future can trigger a capital gains tax event that could prove costly. We will guide you through the complex process and advice you on a suitable structure for your business venture. Tax planning and tax minimisation is a very important part of our role. As accountants, we recognize the fact that business owners and individuals want to reduce their tax liability within the framework of the Australian taxation laws. We will consult with you to work out your tax liabilities and most suited business structures for your business.